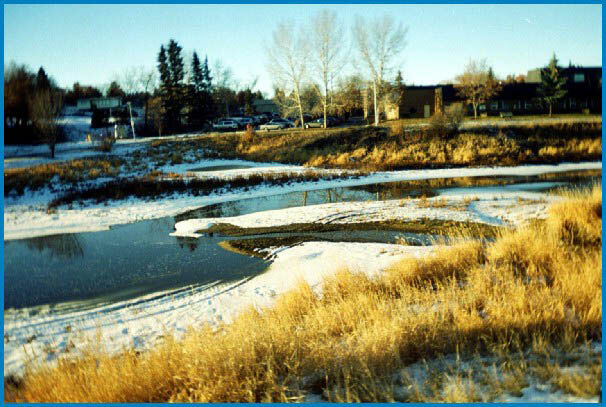 The Sturgeon River leaves Big Lake and flows through St. Albert at a rather leisurely pace. 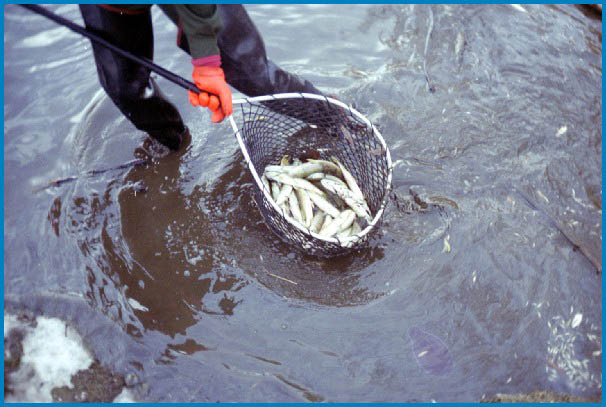 The sluggish river sometimes does not have the energy required to keep its channel clear. 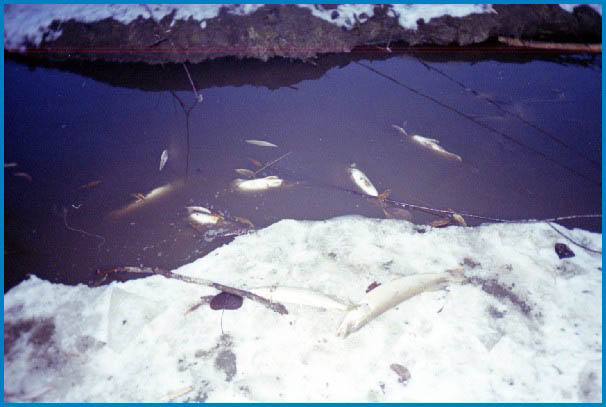 For years now, storm water drains in St. Albert have dumped unfiltered runoff water into the river exacerbating the problem. 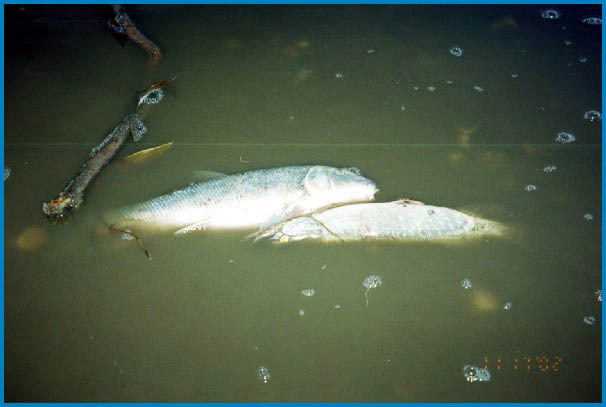 The additional burden of silt carried into the river with runoff water, combined with low water levels in 2002, proved disastrous for many fish living in the river. 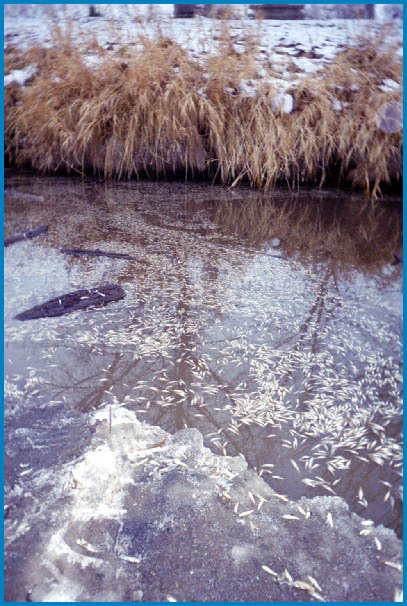 On November 11, 2002, thousands of fish were discovered floating belly up in the river between the railroad trestle and the foot bridge downstream. 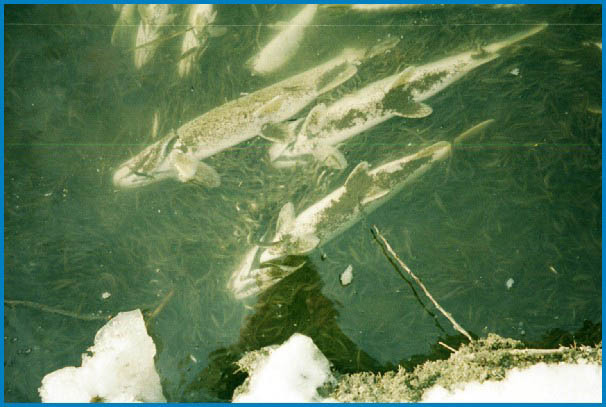 Northern pike, whitefish, minnows, even the occasional pickerel, floated among their dead brethren. 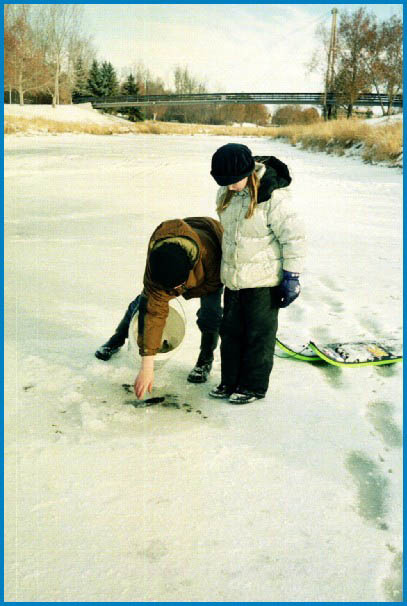 Click the thumbnails below to view a larger version of each photo. 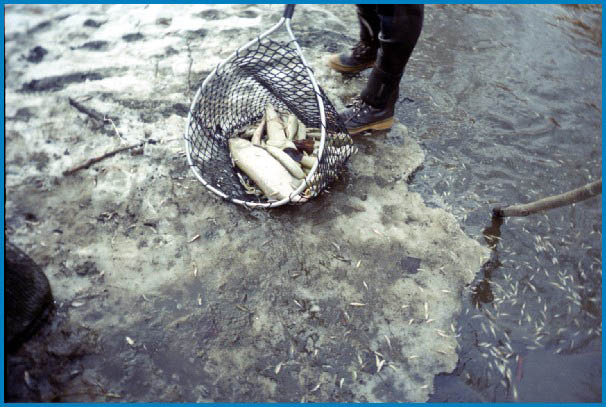 Local residents did what they could to relocate the oxygen-deprived fish that were still alive. 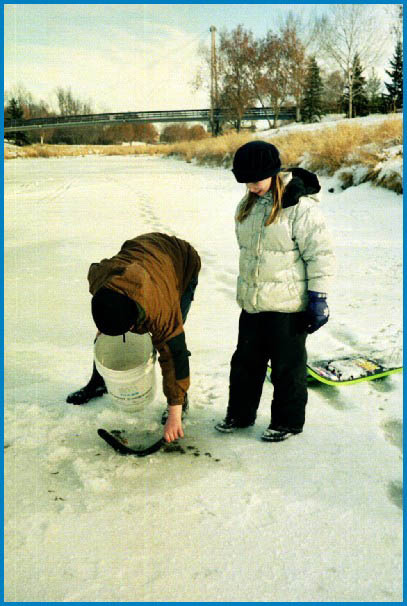 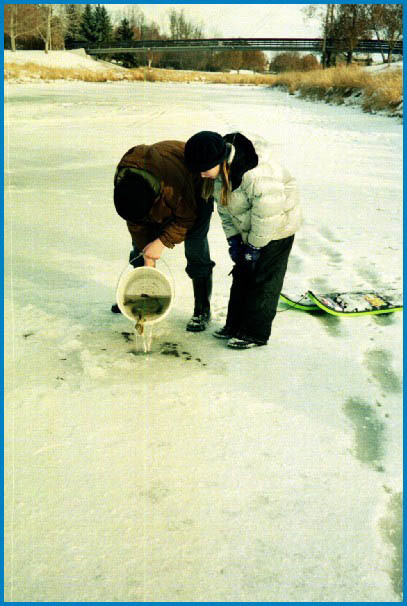 Children depicted below are putting fish back into the river through a hole drilled in the ice farther upstream, where the river was deeper. 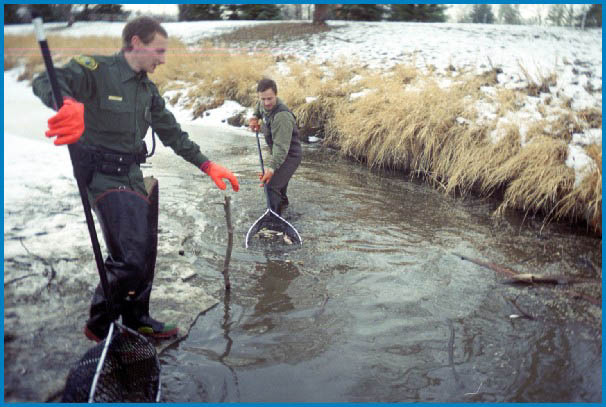 Fish and Wildlife workers eventually arrived to transplant surviving fish to the North Saskatchewan river. 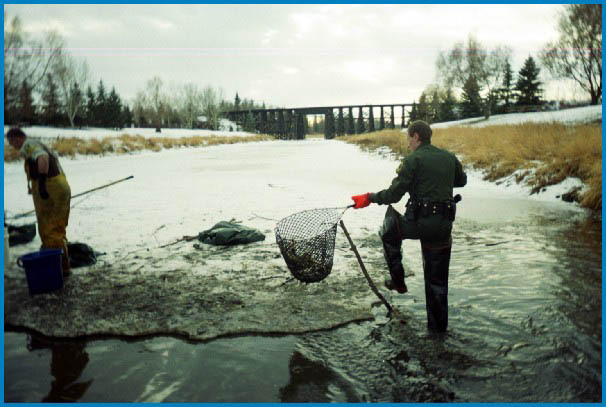 An Alberta Fish and Wildlife spokesman called the incident a "fairly regular event." 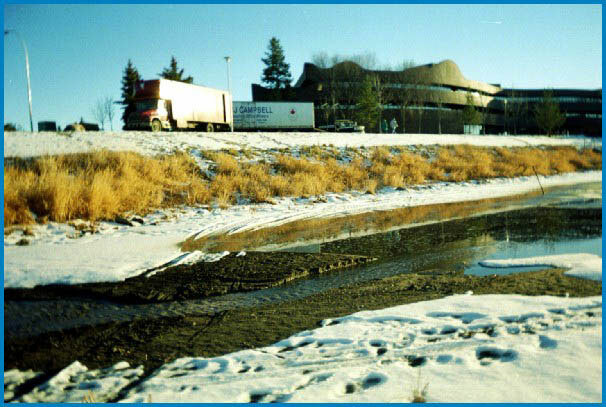 Even though unnatural sediment dams have built up at storm water outfall sites and restricted water flow in the river, St. Albert City Hall staff did not think future river dredging would be an option to address the problem. 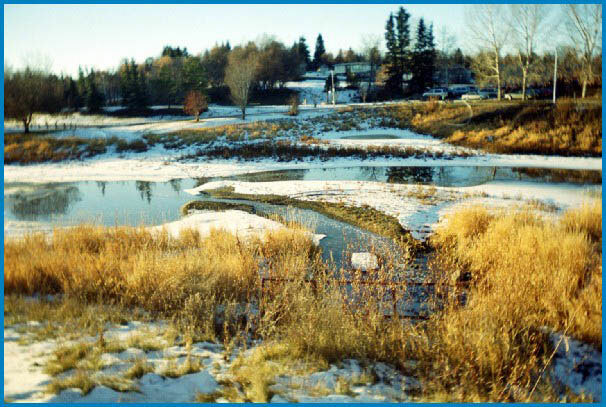 For now, unfiltered runoff water continues to flow into the Sturgeon River through most St. Albert storm water drains. 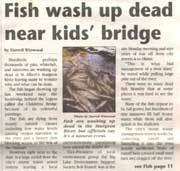 City administration has, however, let a two-year contract to an engineering firm to study and report on the problem. 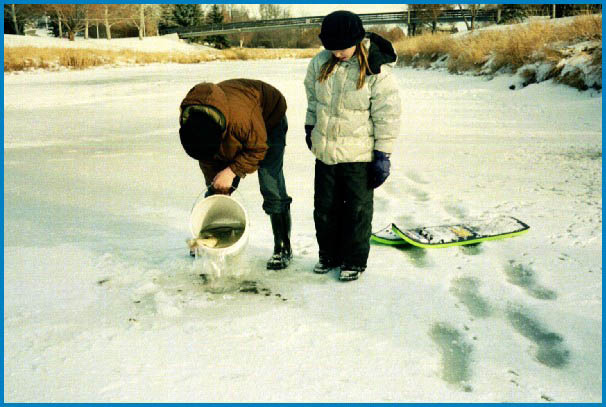 The solution to St. Albert's storm water runoff problem will likely not be an inexpensive one. 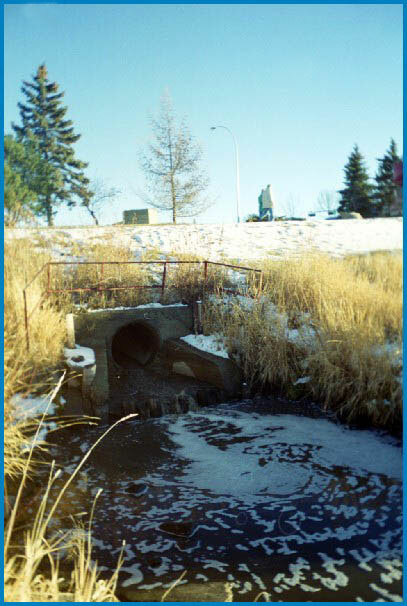 The City of St. Albert recently installed a new "grit/oil" separator at the storm water outfall near the Perron Street bridge. 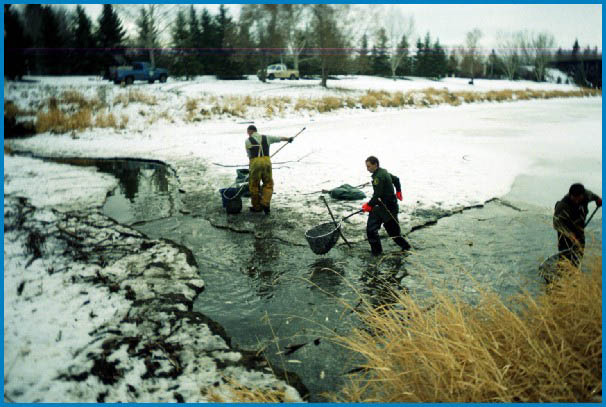 Separators such as those cost in the neighbourhood of $250,000 each. 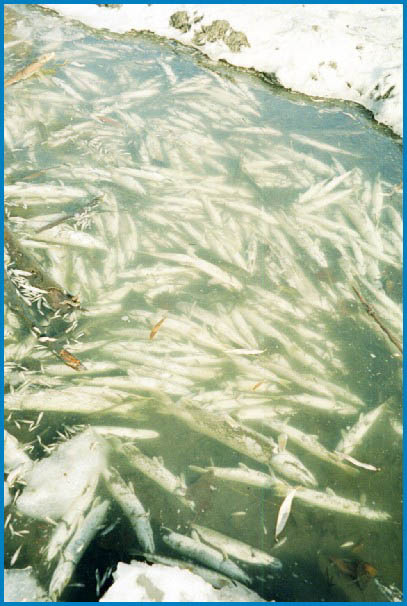 The lesson for the future should be to ensure proper measures are taken to mitigate the effects our actions have on the environment – before disasters such as the November fish kill occur. 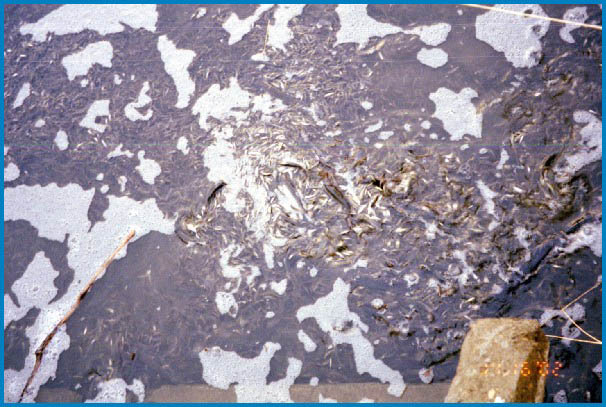 Sediment Buildup from the Storm Water Outfall near City Hall. 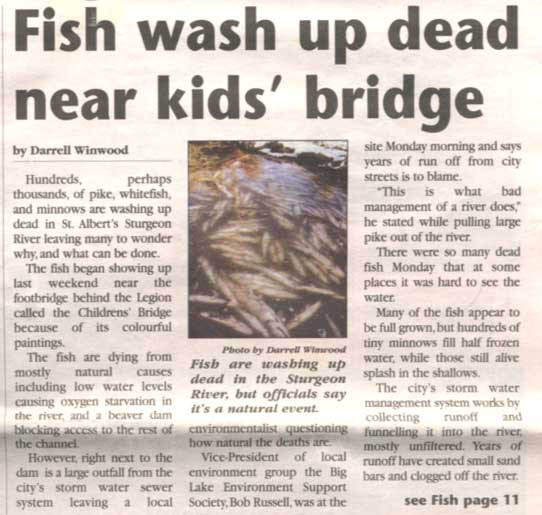 Saint City News article, November 22, 2002.